Today’s office environment places a great deal of emphasis on communication. One of the primary features of any office, large or small, is an efficient and reliable telephone system. 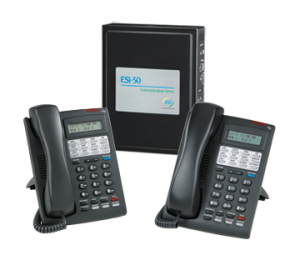 State Systems, Inc. offers clients throughout Blytheville and the Mid-South the option of full-service commercial telephone system design and installation, as well as reliable maintenance and servicing. Our team is also expertly equipped to design, install, and maintain VoIP (Voice over Internet Protocol) phone systems to enable your business and staff to operate and connect to your office remotely. To request a quote for a commercial telephone system installation for your company located in Blytheville, Arkansas, contact us today online or call 866-308-5701. We are an authorized dealer for ESI and Allworx systems. In addition, we have decades of experience servicing a vast array of other telephone systems for businesses located in Blytheville. From systems with one to 6,000 phones, no project is too small or large for our design and installation technicians. Whether you are moving your offices to a new location in Blytheville, want to upgrade your current system, or simply want to expand what you currently are using, State Systems, Inc. can accommodate your needs. Do you have remote offices or personnel who work out of their homes? We can effectively use VoIP to link your offices together and provide an at-home personnel extension off of your office system. Our VoIP services enable you to be out of the office but still receive calls from your office phone. Outside sales professionals who need to be connected to the office while in the field can now access the home network using VoIP and a laptop computer. Your calls can also be re-routed back to the office from your cell phone in order to take advantage of system features, such as multi-party conferencing. The systems we install are of the highest quality and very dependable, but normal wear and tear should be expected. Every telephone system we install comes with at least a one-year parts and labor warranty. Extended warranties are available and recommended. Our extended warranties will cover these service interruptions due to normal wear and tear as well as maintenance activities such as adding additional users, changing schedules, and various other service-related problems. If your company can benefit from a commercial telephone system, do not hesitate to contact State Systems, Inc. Our technicians can design, install, and maintain the best telephone system solution for your business or organization located throughout Blytheville, Arkansas. Call us now at 866-308-5701 to request a quote!